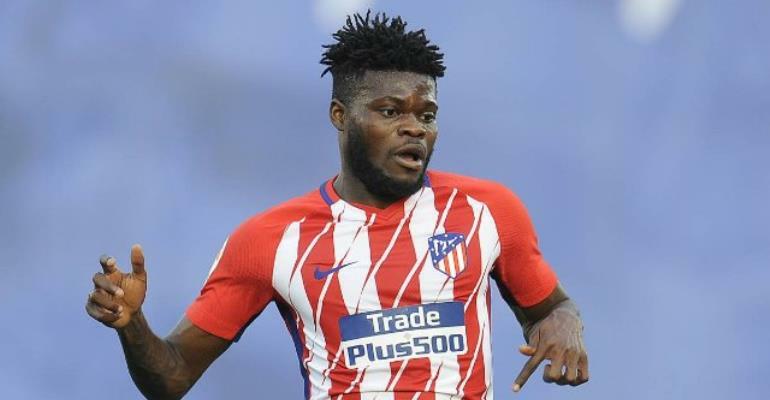 Atletico Madrid midfielder Thomas Partey is ‘excited’ by reports linking him with a move to the English Premier League, report ESPN FC. Last week, Diario AS cited a report in The Ghana Guardian that the versatile midfielder is considering a departure from Atleti with both Manchester City and Arsenal said to be interested. The report had claimed that Thomas was set to hold a meeting with Los Rojiblancos over his future due to a concern over his playing time while his current deal holds a €50m release clause. There are a number of possible departures from Atleti this summer – Juanfran, Diego Godin and Filipe Luis are all out of contract while the futures of Saul Niguez, Antoine Griezmann and Lucas Hernandez are all under scrutiny. Thomas, 25, has started just 15 La Liga matches from a possible 28 so far this season despite steering clear of injuries and suspensions. “Sometimes I do not feel happy at Atletico,” Thomas told TV station Gol, as cited by Diario AS, back in December. “If you want to change this feeling then you need to be playing in important games and feeling stronger, more confident. Midfielder Rodri arrived at the Wanda Metropolitano from Villarreal last summer and has become a regular in Diego Simeone’s side, while Saul Niguez and Koke are other fixtures in the first-team.